There isn’t a day that goes by where we don’t speak with a customer who is concerned about the cost of heating their home. 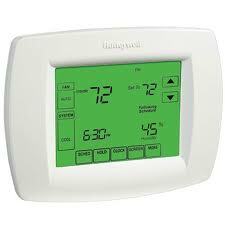 Most of the money that a homeowner spends on energy in this area goes to heating their house. The best way we know to cut the energy bill is to use less energy. That;’s where our Smart, Safe Home system comes in. By tying your thermostat into the system, you can automatically have the thermostat turnmed back every time you leave home and arm the system.